We’ve historically had a market that reacted well to spring, and trended upwards beginning in March of every year. That has continued to be the case in 2019, and the fact that the market has been so high performing over the past few years is cause for excitement. The market continues to perform well, and both buyers and sellers can feel comfortable with what we are currently experiencing. Even though a slowing of home prices is predicted, with an increase in interest rates predicted, buyers can still save money by purchasing now rather than waiting. And based on what we are seeing in the market, they are! The absorption rate of single family properties continues to decline, new listing volume is again starting to increase, and sold volume is trending upward as well. The small decline monthly in absorption has lead us from 5.42 months in March of 2018 to 4.94 this year, meaning the market is ready to handle new listings. So what’s keeping you from making a move! With most housing markets at low risk for a downturn, the 2018 Housing and Mortgage Market Review estimates home prices will continue to rise for the next couple of years, with annual increases of 2–6%. (7) Who-hoo for sellers! If you sell your house before 2020, you’ll likely still make a great profit. If you are considering selling, or are on the fence about selling, here's why you should put your home on the market this spring. In looking through MLS at year to date 2019 market trends in the Ocean Springs, MS market, I see that overall active listings are down by 4%, but new listings are up 6%. Pending listings are down 12% and sold listings are down 33%. Median cumulative days on the market are down 56%. This made me wonder what was going on across the country. Here is a great article I found on USNews.com that I want to share with you. And, of course, if you or someone you know is looking to buy or sell, give us a call! If you bought your house in the last year or two, still love it and don’t want to part with it, go ahead and wait another five years before revisiting the thought of selling. But if you’re weighing your options to sell, considering selling this year or maybe the year after, don’t play the waiting game. Interest rates are still on the lower end. Selling now will be better than waiting till 2020. As interest rates rise, some buyers will hesitate to make an offer on a home or apply for a mortgage, so be ready to see occasional drops in buyer activity. And if your house is at the higher end of the price range in your market, you should expect less buyer interest than before. Ron notes the combination of rising mortgage rates and home prices exceeding buyers' budgets are what has caused the slowing of homebuyer activity in recent months. Mortgage interest rates have been on a bit of a bumpy road over the last few months. Interest rates for a 30-year, fixed-rate mortgage reached their highest level in over seven years in November 2018, when they hit 4.94 percent, according to Freddie Mac. As of the end of February 2019, however, interest rates are down slightly to 4.35 percent, according to the mortgage loan company. While it’s reasonable to expect mortgage rates to continue to climb gradually throughout the next year, they’ll remain much lower than the historic high of more than 18 percent in 1981. Homeowners who bought during the recession or shortly after benefitted from historically low interest rates and, up until around 2015, lower home prices that were still in recovery mode. If you fall into that category, your home equity has risen with nearly every mortgage payment, each renovation you made to the house and all the other houses on the block that sold for a higher price. The higher your equity in your home, the more you net from the sale, which can easily go toward the down payment on your next house. The larger your down payment, the better you look to lenders and the lower your interest rate will be, and the less likely you'll need to increase monthly payments with private mortgage insurance. If not selling your home in 2019 means putting your house on the market in 2020, the sooner option is the best one. In a survey of 100 U.S. real estate experts and economistsby real estate information company Zillow, released in May, almost half expect the next recession to occur in 2020. Another 14 percent believe the recession will hold out until 2021, while 24 percent of panelists expect the recession earlier – sometime in 2019. Monday Market Update - It's Festival Season!!!! Now that Mardi Gras is behind us and St. Patrick's Day a mere blur, we can now take a breath and look forward to Spring. More specifically, we can look forward to (hopefully) sunnier weather, flowers in bloom, returning to the beach, and FESTIVALS!!! Your first opportunity to relax outdoors and take in some of the most talented artists in the region is this weekend at the Spring Arts Festival: Herb, Garden & Art in Downtown Ocean Springs. Now in its 26th year the Annual Spring Arts Festival showcases artists and growers featuring pieces in various media including paintings, pottery, jewelry, plants, and herbs. Festival activities include artist demonstrations, live entertainment, engaging seminars and more. This year’s event will be held on Saturday, March 23 from 9 a.m. to 5 p.m. and Sunday, March 24 from 9 a.m. to 4 p.m. Take the whole family as the festival is FREE! Below is a list of just a few more of the many upcoming events on the Mississippi Gulf Coast - enjoy! March 23-24 - Features live demonstrations, hands-on activities, artist showcases/marketplace in downtown Bay St Louis. April 6-7 - features fine arts, crafts, live music, food vendors and more in Pass Christian overlooking the sparkling waters of the Mississippi Gulf Coast. April 13 - music festival celebrating the beauty of the Pascagoula River. Featuring live music, food/art vendors, Pascagoula Run Kayak Race, Paddlepalooza and a fireworks show. 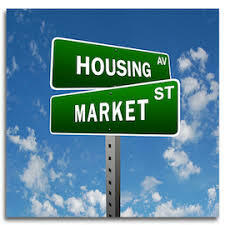 Monday Market Update - Downtown Ocean Springs for Sale! Since Rain Residential is born and raised in Downtown Ocean Springs, we get a TON of requests that go something like, "The city is SO adorable, we would LOVE to live here - can you let us know when something comes up?" We get it - we live in a gem of a city! A seaside town with beautiful homes, tons of restaurants, shopping, parks, events, great schools and wonderful people. Who would NOT want to live here? I tend to describe my clients as a wonderful mix of retirees and young families. This dynamic creates a sense of safety - an friendly and active community where everyone knows and takes care of one another. So do you want to live in the heart of it all and walk (or take your golf cart) everywhere you go?? Well, we have something for everybody right now! 615 Washington Ave: LOCATION, LOCATION, LOCATION and that is only the start of this charming home. What more can you ask for - oozing with character on the outside, it is beautifully updated and neat as a pin on the inside. Just across the street from the popular Little Children's Park, it sits on nearly a half acre with a huge backyard. 2 Mulberry Place: Beautiful family home in a quaint subdivision located blocks away from the action - the custom design such as use of reclaimed wood flooring make this spacious home feel cozy and ready for the love of its next owner. 527 Front Beach, Unit # 26: We love Gulf Oaks Condominiums at Front Beach and so do our clients! Residents here enjoy tons of amenities including a clubhouse, a pool, tennis courts, a shared pier and a front row seat to Front Beach with a quick walk to the Harbor! 407 Brumbaugh: This stylishly-renovated, brick home is located on the outskirts of Downtown Ocean Springs, but just a few blocks from quiet and beautiful East Beach where some of the most beautiful Ocean Springs properties are located. Call, text, or e-mail us today for more information on these or any homes on the Mississippi Gulf Coast - we would love to show you these and tell you more about the different areas of the Mississippi Gulf Coast and what makes each so great! More great news for Mississippi Gulf Coast real estate. The slight dip in residential sales nationally this past December helped push the recent mortgage rates to a 10 month low. On the Mississippi Gulf Coast, the first few weeks of the new year seemed to follow that downward trend, but January ended on an incredible high with a total volume increase of 15% over January of 2018. What does this mean? It means 2019 looks to be a great year for buyers (and sellers). While home prices have continued to sharply rise over the past few years, many national predictions see a more steady market in the near future. This isn't necessarily a bad thing as even very recent buyers values should put them in a place to capitalize on their investment. For sellers this should encourage those who have been thinking about selling to go ahead as opposed to continuing to wait for an increase in value. For buyers, the prospective influx of inventory, combined with the lowered interest rates makes the time to buy now. Looking forward to a very active 2019. Monday Market Update - Clydesdale here this coming weekend! These kinds of wonderful events show the growth and popularity of Ocean Springs and how others are seeing the wonderful things we have to offer here. I saw these majestic animals in a parade when I was a child so anytime they are close to an area I live I'm happy to go see them. If you are able make sure and attend the parade to see these wonderful horses. April Cook at Rain Residential. 435-496-0606. OCEAN SPRINGS, Mississippi -- Nearly 11 years after their first appearance in the city, the renowned Budweiser Clydesdales are returning to Ocean Springs for a parade and "meet-n-greet" in February. City officials announced this week the famed horses will be in Ocean Springs on Feb. 10 for a 2 p.m. parade through the downtown area and activities at the Mary C. O'Keefe Cultural Arts Center. The Clydesdales made their first appearance in Ocean Springs in 2011, participating in a St. Patrick's Day Parade through downtown. "They contacted us," said City Events Coordinator Chic Cody. "They were already scheduled to appear in Biloxi a few days earlier. We had them here in 2011 and we treated them so nicely, they wanted to come back." Cody said the horses will be "dressed" near the intersection of Jackson Avenue and Front Beach Drive that day and then will parade from the Ocean Springs Yacht Club to the Mary C., where there will be photo opportunities, along with activities for children. As the Clydesdale "hitch" makes its way down Government Street, it will stop in front of bars and restaurants along the way to deliver beer, providing additional photo opportunities for the public. The Budweiser Clydesdales were formed in April 1933, when August A. Busch Jr. and Adolphus Busch III presented their father, August A. Busch Sr., with a six-horse Clydesdale hitch to commemorate the repeal of Prohibition, according to the Anheuser-Busch website. We all hear about the importance of having a good credit score, and we all pretty much know what we need to do to keep it as high as possible. So, how the heck do they come up with that number??? Here is a great explanation of how it works. And, as always, if you are looking to buy or sell, or you just have questions, we are here to help! Your credit score has a big impact on your personal finances, with a good score translating into a better rate on everything from home mortgages to auto loans to credit cards. So how do credit scores work? Your credit score can range from 350 to 850. The higher, the better. The five factors that determine that score, and the percent to which they count towards your score, are as follows. This is your record of making payments on time and in full. Timely mortgage payments are particularly important. A single late mortgage payment in the last 12 months can downgrade your score. Late payments on other debts such as credit cards and car loans are also bad for your credit score, as are judgments, charge-offs and collections accounts. A single bankruptcy in the past seven years can damage your ability to get a new credit account or a loan. If you’re looking to get a loan, you’ll have to pay off any judgments or liens first, and possibly get a “satisfaction of judgment” from the court. Your credit score will also reflect the amount of time it takes you to make a late payment. The later the payment, the worse it will be for your score. Being in default of a debt is the worst situation. To avoid damage to your score, pay bills on time, settle any delinquent accounts and check your credit report regularly to make sure you’re not being held responsible for disputed bills. Ideally, you should keep your balance below 30 percent of your credit limit. At the very least, it should be below 50 percent. While it may seem like a good idea to close credit accounts you don’t use often, you’re actually better off leaving them open. Also, don’t concentrate large balances in a few accounts. It’s better to spread the balance across credit lines than to have one or two accounts with a balance constituting more than 50 percent of the limit. If your credit card company is willing to increase your credit line without pulling a new report, you should take advantage of that. The longer your accounts have been open, the better it is for your credit score. Again, avoid closing credit accounts. But if you have to, close the newer instead of the older ones. And opening new accounts can lower your score initially, so keep that in mind if you’re tempted to open one just to get a 0 percent introductory rate or a discount at the store. That being said, opening a few extra accounts that you don’t intend to use may not be a bad idea if you intend to get a mortgage eventually. If you don’t have much of a credit history, those extra accounts can raise your score eventually if you keep them active and their balances low. A mix of credit types is best, including mortgage, auto loan and not more than five credit cards. Having nothing but a lot of credit cards will hurt your score. Checking your own credit report won’t affect your score. But when a potential creditor — such as a mortgage or auto loan lender, credit card company, or department store — performs an inquiry on your credit, that can have an impact on your score for up to a year. But you can reduce that impact by taking certain steps. When they’re done within 45 days of each other, multiple inquiries about mortgage or auto loans are treated as only one. However, if you already have a mortgage in the works, you might want to wait until the loan closes before applying for any new credit. Please keep in mind that this is only for informational purposes, and that you should consult with appropriate professionals for tax, legal and financial planning advice. #10. At just a little over 2,000 square feet this house is not to be underestimated. 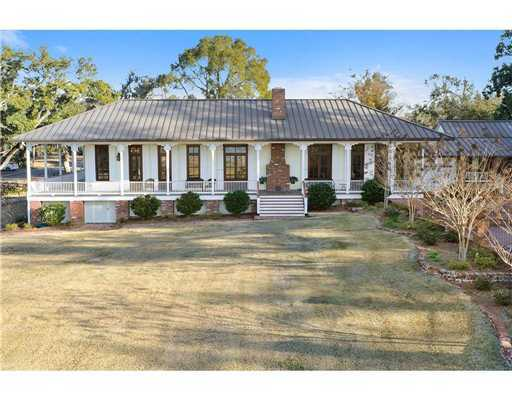 It sits on over 1.7 acres on the corner of Downtown Ocean Springs and faces beautiful Front Beach. It only had 2 bedrooms and 2 bathrooms, but it's charm, gated pool, guest house, and riparian rights sold it for $915k in 2015. #9. This East Beach home has over 4,000 square feet with a guest house larger than many people's primary residences at nearly 1,700 additional square feet. Glorious views of the beach and the Gulf of Mexico make this home a deal at just $932k. 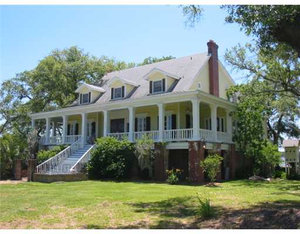 #7 This Bayou Sauvolle Beauty was sold in 2007 for $990k. It features high ceilings, a huge gourmet kitchen, deep water access, a boat dock, and bulkhead. It also has over 4,500 square feet of living space. 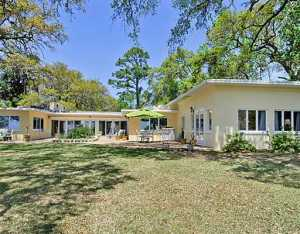 #6 Located on East Beach, this Mid-Century modern, beachfront home sits on 3.65 acres. 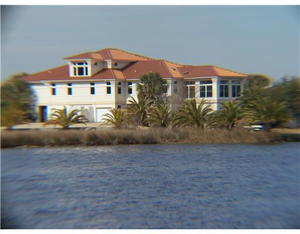 The home features 6 bedrooms and 6 bathroom, a gourmet kitchen, and a private pier with a boatslip. This property was sold in 2015 for a cool $1M. #5 This executive home was sold in 2014 for $1.75K. It is over 6,000 feet and sits on Spanish Point right off of Lover's Lane. 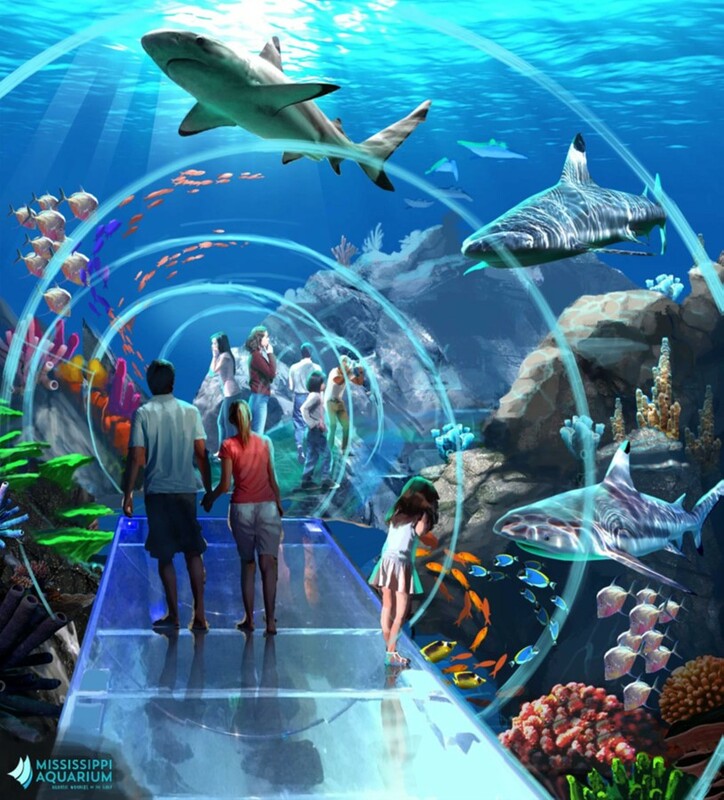 It was built tough on concrete walls and has a stunning multi-level saltwater pool. #4 This traditional Southern charmer is located at the tip of the Gulf Islands National Seashore and it is a waterfront dream. It has 8 fireplaces, a 15' wet bar, a gourmet kitchen, deluxe appliances, a pool, and 360' of bulhead with deep water access. It was sold in 2014 for $1.25K. #3 This home in Bayou Sauvolle has high ceilings, a HUGE kitchen, a pool, a pool room, and a boat house over-looking the beautiful Bayou. This 6,000+ square foot home sold in 2009 for $1.29M. #2 This Lover's Lane beauty sold in 2017 for $1.3M. With views of the Back Bay from a tropical oasis of a backyard, it seems like a steal! #1 This custom, French-Country home sold for $1.75M in 2016 and has just about everything a person could ask for including a private beach! It also has 12 foot cypress doors, a walk-in wine cellar, outdoor living space, an infinity pool that looks out over uninterrupted views of the Gulf of Mexico and the barrier islands. Our conclusion is that waterfront = $$$ but waterfront + downtown = $$$$. That said, it looks like it is worth it!!! !